Office Hours provides 1-on-1 personalized training from the comfort of your home. When it comes to getting the most out of your digital marketing tools, I can show you the ropes. Let me help you build your confidence and skills so that you can attract the perfect audience for your products and services! So, I’m Karmen and I’m the face behind The Karmen K Design Studio. My specialty is developing creative and effective websites that attract ideal customers. Over the years, I have spent countless hours learning and mastering all kinds of digital market tools. 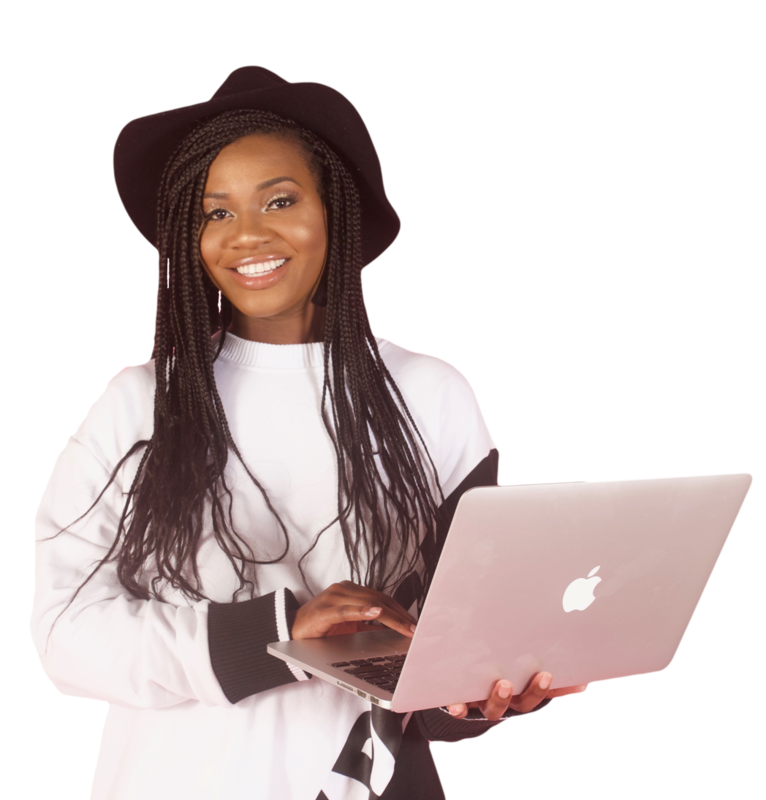 Through trial and error, I learned tips, tricks, and “need to know” information that has allowed me to increase traffic on my website, build my email list, and make more sales. Office Hours is my way of sharing this information with budding creative entrepreneurs. It’s my goal to make the branding process easier and more enjoyable! Office Hours is ideal for budding entrepreneurs who want to learn the basics of digital marketing. After you click “Schedule Your Session” you’ll be taken to my online calendar to book and pay. Each session is 90 minutes long via a Zoom video call. Plus you’ll get a video recording of our session. Yes. If you didn’t find the info useful, then I’ll give you a refund. Simply send me an email within 7 days after our call. WHAT IF I NEED MULTIPLE SESSIONS? No problem! We can discuss discounted rates for subsequent sessions at the end of your first session. Because piecing together info from Google is exhausting! No really – with me you get an end-to-end solution that’s tailored to your needs. I allow up to 2 reschedules. You can easily reschedule a session via email. I just ask that you give a 24 hour notice. WHAT IF I STILL NEED HELP AFTER MY SESSION? No problem! I offer 30 days of unlimited email support or you can book another session. Feel free to start a chat session via Facebook messenger using the chat icon in the bottom-right corner of your screen. Karmen was helpful in making suggestions for me regarding website design, new branding, Pinterest use and Canva. She was personable, communicated well and professional. Very helpful information as I market my book, Repurposed Faith. Karmen is definitely one of a kind! People like her are hard to come by she helped me at the last minute with business issues I’ll definitely be using her again! 90 minute live video training. Video recording of training session. 30 days of unlimited email support.